The year 2014 will be remembered as an annum of historical reflection as historians grappled with the relevance of 19th-century history for a 21st-century audience. Nostalgia aside, the definition of the Old West is changing and moving further and further into the 20th century into the 1950s, when the West is transformed by interstates, suburbs, air conditioning and the automobile. The Old West’s era of origin, with Lewis and Clark’s Corps of Discovery, is also being moved back, with historians reaching new conclusions on who and what the Americas are today—and what they may be tomorrow—by examining in greater detail the era of Empires and Discovery. Western fiction is also in a renaissance era with publishers across the country, including major houses in New York and numerous smaller imprints, willing to take a chance on new authors. The three genres that are growing every year in Westerns are Mystery, Romance and Frontier, all of which are pushing their heroes and heroines well into the 21st century. How and what we define a “Western” must continue to be challenged if the genre will grow and thrive. Larry D. Ball for Tom Horn: In Life and Legend (University of Oklahoma Press). Larry D. Ball’s biography, Tom Horn: In Life and Legend, is a tale only Charles Dickens could fictionalize if it wasn’t actually true. Horn’s life, from Al Sieber mentoring him into a life of violence on the razor thin edge of the law, to his misguided and failed career as a lawman and hired gun, is superbly recounted in Ball’s biography of the tragic frontier figure. The only question that Ball does not answer is: Did Tom Horn die for his sins alone or was he a martyr for the collective sins of the violent settlement of the West? John Wayne: The Life and Legend by Scott Eyman (Simon & Schuster). John “Duke” Wayne was the most iconic Western star of the 20th century, keeping the popular culture of the Old West alive as locomotives gave way to supersonic jets and cowboys traded in horses for Cadillacs. Scott Eyman’s biography of the film hero provides readers with a very honest look at the life and struggles of a family man who helped keep the code of the West alive more than anyone else in the last hundred years. 1 Indian History: Song of Dewey Beard: Last Survivor of the Battle of Little Big Horn by Philip Burnham (University of Nebraska Press). 2 Military: Fierce Patriot: The Tangled Lives of William Tecumseh by Robert L. O’ Connell (Random House). 3 Women/Minorities: The Life and Legends of Calamity Jane by Richard Etulain (University of Oklahoma Press). 4 Era of Empire: Alvar Nunez Cabeza de Vaca: American Trailblazer by Robin Varnum (University of Oklahoma Press). 5 Exploration: Citizen Explorer: The Life of Zebulon Pike by Jared Orsi (Oxford University Press). American Carnage: Wounded Knee 1890 by Jerome A. Greene. The Battle of Wounded Knee remains an unhealed scar on America’s soul, but historian Jerome A. Greene’s new synthesis, American Carnage: Wounded Knee 1890, re-sets the record for a new conversation about the massacre as the nation approaches its fateful 125th anniversary. Greene’s extensive research of all-available primary resources and perspectives, including many never before accessed for publication, will inevitably place American Carnage among the most important volumes ever published on American Indian history. 1 Indian History: Encounters at the Heart of the World: A History of the Mandan People by Elizabeth A. Fenn (Hill and Wang). 2 Military/Empire: Kit Carson and the First Battle of Adobe Walls: A Tale of Two Journeys by Alvin Lynn (Texas Tech University Press). 3 Women/Minorities: Love Lessons from the Old West: Wisdom from Wild Women by Chris Enss (Globe Pequot Press). 4 Law & Order: Chasing the Santa Fe Ring: Power and Privilege in Territorial New Mexico by David L. Caffey (University of New Mexico Press). 5 Exploration: South Pass: Gateway to a Continent by Will Bagley (University of Oklahoma Press). The Last Shootist by Miles Swarthout (Forge). Miles Swarthout’s The Last Shootist had a great deal of competition in Western fiction in 2014 as publishers large and small have revived America’s most original genre of literature. Swarthout’s stands above all the rest in 2014 for its combination of classic Western themes, coming of age in the transitional West, and for deftly writing a stand-alone sequel that is equal to its precursor, Glendon Swarthout’s The Shootist. 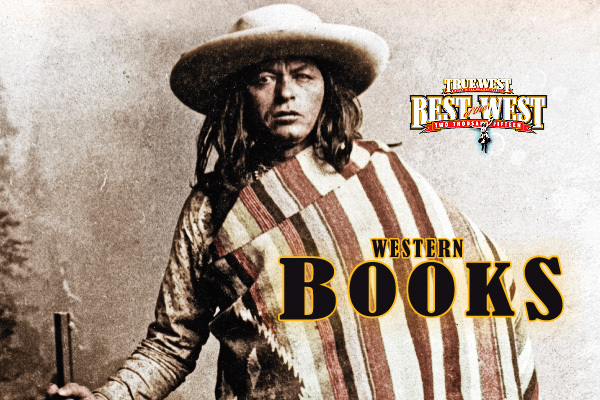 1 Old West: The Last Kind Words Saloon by Larry McMurtry (W.W. Norton). 2 Mystery: Frog Music: A Novel by Emma Donaghue (Little, Brown and Company). 3 20th Century: Ragtime Cowboys by Loren D. Estleman (Forge). 4 Classic Western: The High Divide by Lin Enger (Algonquin). 5 Women: Cattle Kate: A Novel by Jana Bommersbach (Poisoned Pen Press). Goin’ Crazy with Sam Peckinpah by Max Evans as told to Robert Nott (University of New Mexico Press). Max Evans, who just turned 90 years old in August, wrote this memoir of his friendship with Sam Peckinpah and Peckinpah’s family. 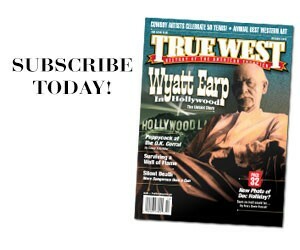 It is the most personal ever published on the life of the Western-film director. Evans is the only person, other than the late Peckinpah himself, who could write such an intimate memoir of family, life, heartache and Hollywood. 1 Western Art: Navigating the West: George Caleb Bingham & the River, by Nenette Luarca-Shoaf, Claire Barry, Nancy Heugh, Elizabeth Mankin Kornhauser, Dorothy Mahon, Andrew J. Walker, and Janeen Turk (Yale University Press). 2 Indian Culture: Apache Legends & Lore of Southern New Mexico from the Sacred Mountain by Lynda A. Sanchez (The History Press). 3 Cowboy Culture: National Cowboy Poetry Gathering: The Anthology, Compiled and Edited by the Western Folklife Center with a foreword by Baxter Black (Lyons Press). 4 Film/Television: Doc Holliday in Film and Literature by Shirley Any Linder (McFarland). 5 Western Craftsmanship: A Legacy in Arms: American Firearm Manufacture, Design, and Artistry, 1800-1900, The Western Legacies Series, by Richard C. Rattenbury, photography by Ed Muno (University of Oklahoma Press). Charles M. Russell: Photographing the Legend, The Charles M. Russell Center Series on Art and Photography of the American West, by Larry Len Peterson (University of Oklahoma Press). The American West after the Civil War and prior to the Great Depression is alive in our imagination because of the authors, photographers and artists who recorded the West in perpetuity for successive generations. Larry Len Peterson’s highly illustrated volume Charles M. Russell: Photographing the Legend provides us with one of the most insightful interpretations of America’s master Western artist, Charles M. Russell. A must read for any serious student of the West. 1 Historic: Meaningful Places: Landscape Photographers in the Nineteenth-Century American West by Rachel McLean Sailor (University of New Mexico Press). 2 Biography: The Gift of the Face: Portraiture and Time in Edward S. Curtis’s The North American Indian by Shamoon Zamir (University of North Carolina Press). 3 Regional: Arizona Stereographs 1865-1930 by Jeremy Rowe (Carl Mautz Publishing). 4 Landscape: Railroad Empire Across the Heartland: Rephotographing Alexander Gardner’s Westward Journey by James E. Sherow, photographs by John R. Charlton (University of New Mexico Press). 5 Geography: Atlas of Indian Nations by Anton Treuer (National Geographic). Uncompahgre: Where Water Turns Rock Red (Threads West: An American Saga, Book Three) by Reid Lance Rosenthal (Rockin’ SR Publishing). Reid Lance Rosenthal’s third book Uncompahgre: Where Water Turns Rock Red, in a planned 33-volume Threads West: An American Saga series, is an inspiring Western soap-opera in the tradition of Louis L’Amour’s Sackett family saga, James Michener’s Centennial, Edna Ferber’s Giant and A.B. Guthrie’s three-volume series, Big Sky, The Way West and Fair Land, Fair Land. 1 Notorious in the West (Harlequin Historical) by Lisa Plumley (Harlequin). 2 Tried & True (Wild at Heart Series, Book One) by Mary Connealy (Bethany House). 3 Bride by Mail (Harlequin Historical) by Katy Madison (Harlequin). 4 Waking in Tombstone by Marilyn Brown (Walnut Springs Press). 5 Caught in the Middle by Regina Jennings (Bethany House). J.D. March for Dance with the Devil (Five Star). First-time author J.D. March’s Dance with the Devil is a dynamite beginning to a new series, “The Devil’s Own” from Five Star, that will have fans placing orders for volume two months ahead of publication. March’s hero, Johnny Fiero, is a conflicted gunfighter that fans of Elmore Leonard’s outlaw heroes will recognize and cheer for—even when they know he’s wrong. Since 1929, the University of Oklahoma Press has been a leader in publishing the history of the American West. In 2014, under the leadership of Editor-in-Chief Charles E. Rankin, the university press is unequalled in its efforts to publish a broad and inclusive catalog on the heritage and culture of the West. Guidon Books: 7109 E. 2nd St., Scottsdale, Arizona, Guidon.com, (480) 945-8811. Year after year, independent bookstore Guidon Books stands above the rest in the West for customer service and depth of knowledge and inventory on Pre-Columbian West to the present. With over fifty years in the Western book business in downtown Scottsdale, Guidon is perfectly located within walking distance after a tour of the city’s new Museum of the West. Historians during the 150th anniversary of the Civil War are publishing some outstanding biographies and new research on the war in the West. I suggest these five volumes which provide an added breadth and depth to our shared understanding of how the War Between the States affected the short- and long-term history of the West. 1 Busy in the Cause: Iowa, the Free-State Struggle in the West, and the Prelude to the Civil War by Lowell J. Soike (University of Nebraska Press). 2 Cloud of Glory: The Life and Legend of Robert E. Lee by Michael Korda (Harper). 3 Lincoln and the War’s End by John C. Waugh (University of Illinois Press). 4 Lincoln’s Bishop: A President, A Priest, and the Fate of 300 Sioux Warriors by Gustav Niebuhr (Harper One). Self-publishing is revolutionizing the world of books across all genres, and Western fiction and non-fiction authors are adding a great deal of depth and quality to the catalog with their “take the bull by the horns” publishing spirit. 1 A Handshake is Enough: The Cowboy Way Through Art and Poetry, artist Marless Fellows, written by Leslie V. Bay (Marless Fellows). 2 Judge Parker & Bass Reeves: Two Fisted Justice by Fred Staff (Fred Staff). 3 Looking for Lynne by John L. Moore (John L. Moore). 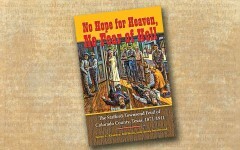 4 Porter and Ike Stockton: Colorado and New Mexico Border Outlaws by Michael R. Maddox (Michael R. Maddox). 5 Purgatory Road: On the Road Between Heaven and Hell by Jeb Rosebrook (Jeb Rosebrook). Twentieth-century Western fiction is a crowded field, ranging from Mystery to Romance, modern cowboys to small towns, that is bringing readers up and into the present West. The adventurous stories of the frontier West are still alive and well across the genres of the past century into the present, with many publishers, large, small and independent broadening this growing genre. 1 Backlands by Michael McGarrity (Sagas). 2 Moonlight Water by Win Blevins and Meredith Blevins (Forge). 3 Above by Isla Morley (Gallery Books). 4 Stone Cold by C.J. Box (G.P. Putnam’s Sons). 5 Vengeance is Mine: A Red River Mystery by Reavis Z. Wortham (Poisoned Pen Press). Twentieth-century Western non-fiction is a growing genre that breaks all definitions of subject matter. Historians of the American West may soon be looking at new genre definitions that are not defined on millennial delineation, but on historical eras, such as Revolution to Civil War, Reconstruction to World War II, and Post-World War II West to Present. The 66 Kid: Raised on the Mother Road: Growing Up on Route 66, the World’s Most Famous Two-Lane Blacktop (Voyageur Press). 1 All the Wild that Remains: Edward Abbey, Wallace Stegner, and the American West by David Gessner (W.W. Norton). 2 Downwind: A People’s History of the Nuclear West by Sarah Alisabeth Fox (University of New Mexico Press). 3 Father of Route 66: The Story of Cy Avery by Susan Croce Kelly (University of Oklahoma Press). 4 The Horse Lover: A Cowboy’s Quest to Save the Wild Mustang by H. Alan Day and Lynn Wiese Sneyd (University of Nebraska Press). 5 My Final Ride: The Thrilling Canada-to-Mexico Journey of Charles Morris Christensen by LeAnn Bednar (Gowith Books). 1 Canyon Dreams: Stories from Grand Canyon History by Don Lago (University of Utah Press). 2 The Wister Trace: Assaying Classic Western Fiction, 2nd Edition by Loren Estleman (University of Oklahoma Press). 1 Broken Promises: La Frontera Presents the American West: More Great Short Stories from America’s Newest Western Writers edited by Michael T Harris (La Frontera Publishing). 2 Shots Fired: Stories from Joe Pickett Country by C.J. Box (G.P. Putnam’s Sons). 3 Wait for Signs: Twelve Longmire Stories by Craig Johnson (Viking). 1 Cochise: Firsthand Accounts of the Chiricahua Apache Chief edited by Edwin R. Sweeney (University of Oklahoma Press). 2 West Texas: A History of the Giant Side of the State edited by Paul H. Carlson and Bruce A. Glasrud (University of Oklahoma Press). 3 The Great Medicine Road, Part I, Narratives of the Oregon, California, and Mormon Trails, 1840-1848 edited by Michael L. Tate, with the assistance of Will Bagley and Richard L. Rieck (The Arthur H. Clark Company, an imprint of the University of Oklahoma Press). 4 An Army Doctor on the Western Frontier: Journals and Letters of John Vance Lauderdale, 1864-1890 edited and annotated by Robert M. Utley (University of New Mexico Press). The late Gordon Harper and Jory Sherman each had books published this past year: Harper’s The Fights on the Little Horn: Unveiling the Mysteries of Custer’s Last Stand (Casemate) is his masterpiece about his lifetime of research on Custer’s final battle. Sherman’s The Wild Gun (Berkley Books) was his last Western, published a month after the Owen Wister Award winner’s death in June. 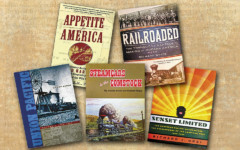 Building Your Western Library with Blaine Lamb California historian shares why he loves the best of railroad history. 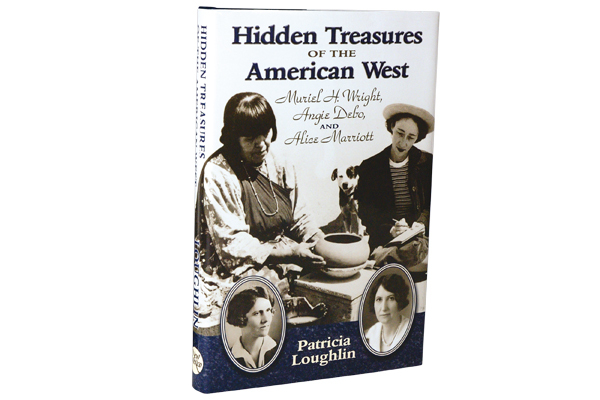 Hidden Treasures of the American West Patricia Loughlin, University of New Mexico Press, $32.50, Hardcover; 800-249-7737.